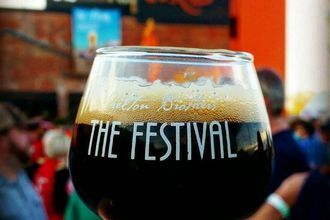 Beer festivals not only offer attendees the chance to sample numerous brews – sometimes even rare and one-off pours – these events also allow beer fans to dialog with their favorite brewmasters, sample paired foods and learn about a host of topics related to beer and brewing. 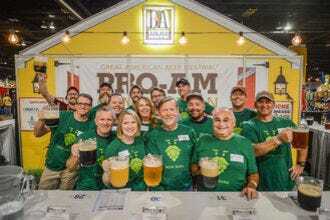 Denver becomes ground zero for beer fans each fall, when the Brewers Association presents the largest collection of American beers in one spot at this premier US beer festival. Hundreds of breweries participate, and beers are served by their brewers, giving enthusiasts the opportunity to speak with them personally. An educational component features talks by top brewers and innovators, beer-making demos, beer pairing sessions and even a pavilion dedicated to sustainability. The festival is also a competition, with medals being awarded in more than 90 beer style categories. 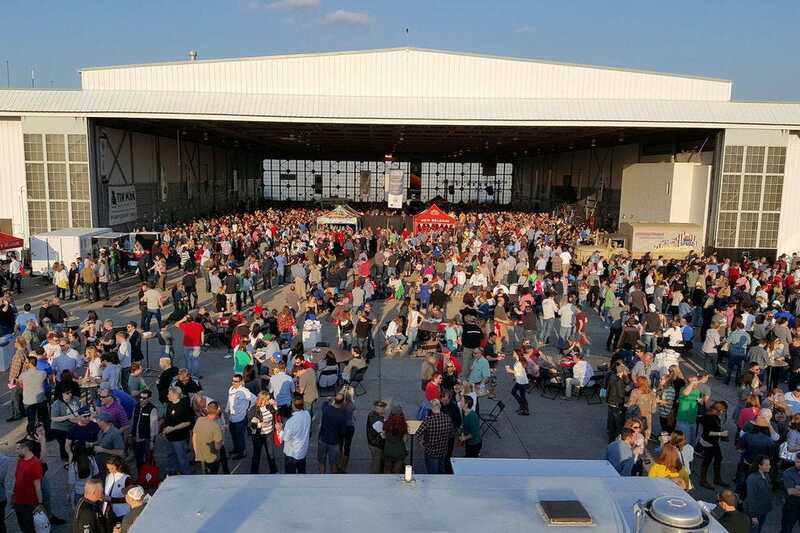 One of the longest-running beer events in North America, this craft beer festival brings more than 190 of the Midwest’s finest craft brewers to Madison each year. 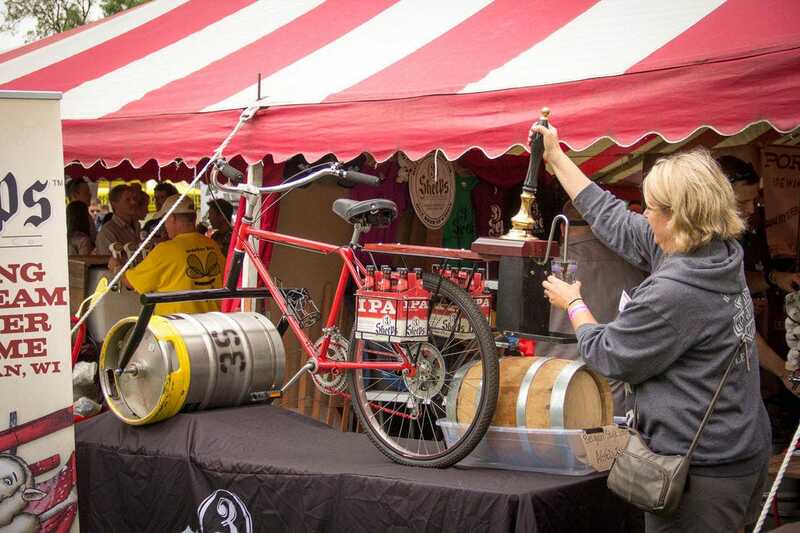 Attendees can taste more than 1,400 beers, attend beer-centric seminars, sample foods from local vendors and enjoy acoustic music, all while strolling through a beautiful park overlooking Lake Monona. As a bonus, many area restaurants offer special tastings and beer pairings in the days leading up to the fest. 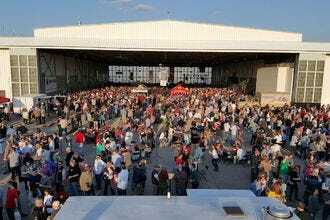 Each spring, beer enthusiasts in the Atlantic City area descend upon the convention center for a weekend filled with suds, sounds and surprises. 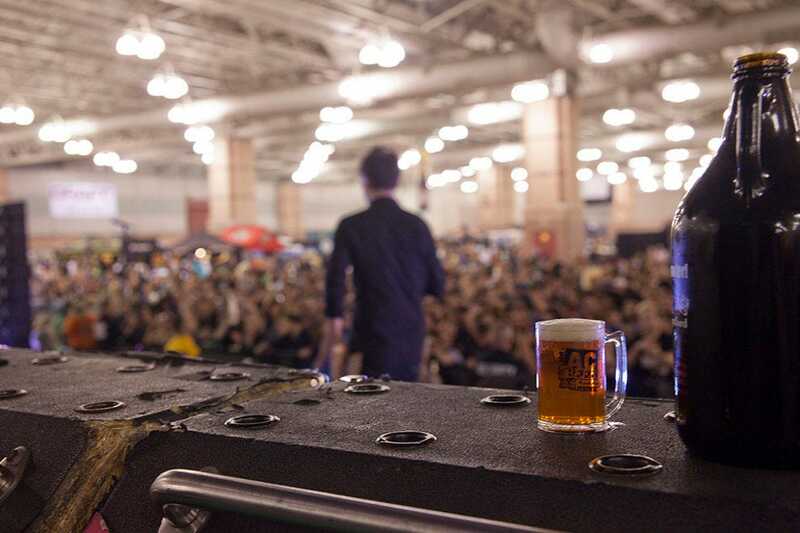 The Atlantic City Beer & Music Festival has been going strong for over a decade, adding new elements to each edition. 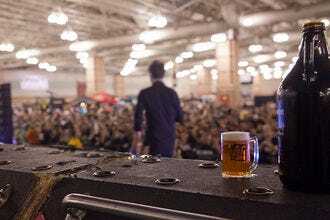 Besides sampling more than 1,000 beers from 200 different breweries, attendees can rock out to headlining bands, watch culinary demos from local chefs and compete with other beer geeks in a variety of competitions like hot wing eating, field goal kicking and a 5K Hops Trot that stops at some of Atlantic City’s most popular watering holes. The Shelton Brothers are passionate beer importers who seek out and hand-select beer from the best small, artisanal brewers in the world, so their annual “movable fest” is guaranteed to feature the best craft brews and ciders. The Festival takes place in a different city each year and highlights that city’s craft beer scene, while also hosting brewers from around the country and the world. Many beers are created just for the festival and can’t be found anywhere else. One of New York State's largest craft beer and food events, TAP New York Craft Beer and Food Festival brings more than 120 breweries pouring over 400 beers to Hunter Mountain each April for two days of tastings, food pairings and beer competitions. 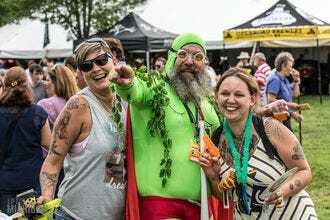 During this annual July event, more than 100 Michigan breweries come together with over 1,000 different craft beers for a celebration of suds and summer. Michigan bands provide live music as festival goers sip their favorite brews in Ypsilanti's Riverside Park. 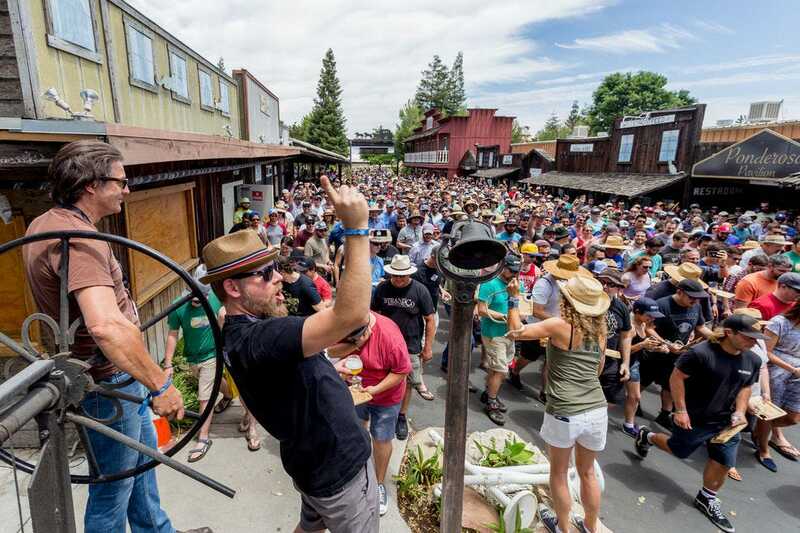 The usually wine-centric town of Paso Robles turns their attention to the fine art of craft beer each June during the Firestone Walker Invitational Beer Fest. 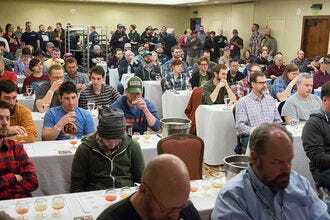 This single-day, intimate gathering of beer lovers and brewmasters showcases brews from more than 50 American and international breweries. 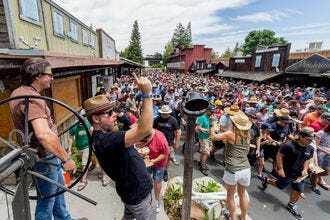 Breckenridge gets a winter warmup each year during the Big Beers, Belgians & Barleywines Festival. Visitors to the Colorado Rockies during this event can meet with brewers and sample hundreds of Belgian and experimental beers over the course of three days. A growing offering of beer and brewing seminars teach skills like cigar pairing, food pairing, experimental brewing and a Cicerone workshop. 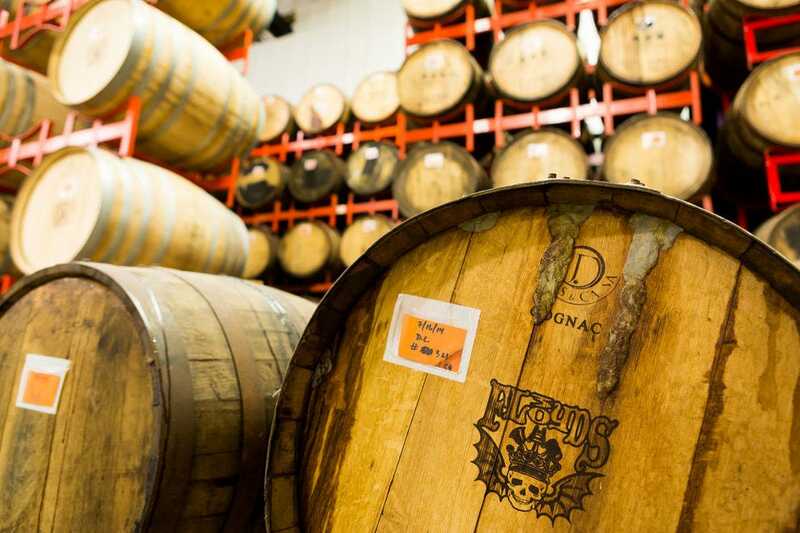 3 Floyds Brewing Co.'s Dark Lord – a high-alcohol Russian imperial stout brewed with coffee, vanilla and sugar or molasses – has been ranked one of the best beers in the world, but it’s only available for purchase at this annual event at the brewery in Munster, Ind. Attendance is limited, and the 6,000 lucky enthusiasts gather to sample beers from around the world, mingle with fellow beer fans, enjoy food and live music and get their hands on the highly sought-after Dark Lord. Photo courtesy of 3 Floyds Brewing Co.
A panel of experts partnered with 10Best editors to picked the initial 20 nominees, and the top 10 winners were determined by popular vote. Experts Ruth Berman (Bon Beer Voyage), Julia Herz (CraftBeer.com Beer & Food Course), Gary Monterosso (What’s On Tap), Jack Muldowney (The Hop Review) and Ale Sharpton were chosen based on their knowledge and experience of the North American beer scene. Congratulations to all these winning beer festivals! 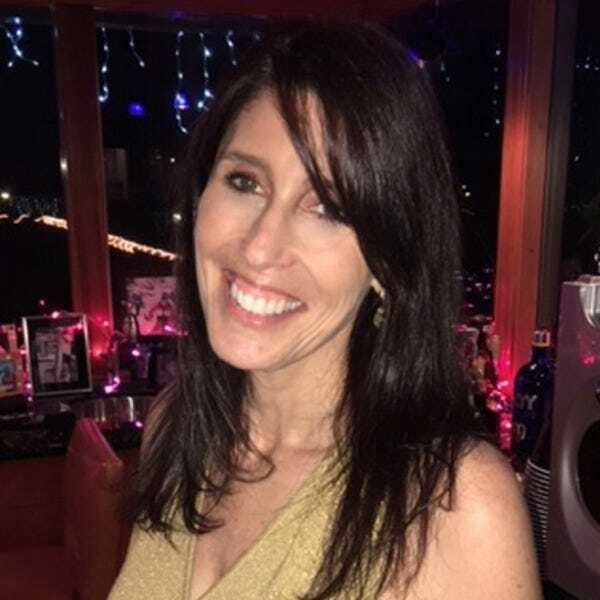 Dr. Ruth Berman is the CEO and BBB (Brains Beyond the Beer) of Bon Beer Voyage, an award-winning international beer tour company for Belgian and Craft Beer Enthusiasts. Bon Beer Voyage was created by Ruth and her husband, Mike Arra, as the beer lover’s casual but exclusive version of elite wine tours. They offer high-quality, small group, gourmet beer vacations (Beercations) in the US and abroad; providing their guests with one-of-kind experiences, locally guided sightseeing, great food, brewery insider visits and VIP beer tastings. Ruth is also a Certified Tour Director, Licensed Tour Guide and a Cicerone Program Certified Beer Server. She is member of the Pink Boots Society, Brewer’s Association, Florida Brewer’s Guild and the North American Guild of Beer Writers. While traveling, Ruth enjoys paintings watercolors of the breweries she visits. 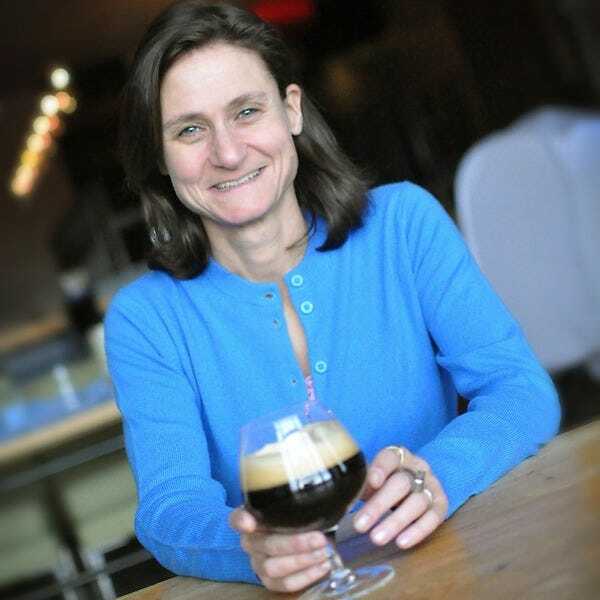 Julia Herz is the Craft Beer Program Director for the Brewers Association, co-author of the CraftBeer.com Beer & Food Course, as well co-author of Beer Pairing (Voyageur Press). She is a life-long homebrewer, BJCP beer judge and Certified Cicerone. Despite her extensive experience, she will always consider herself a beer beginner on an unending journey to learn more about craft beer. 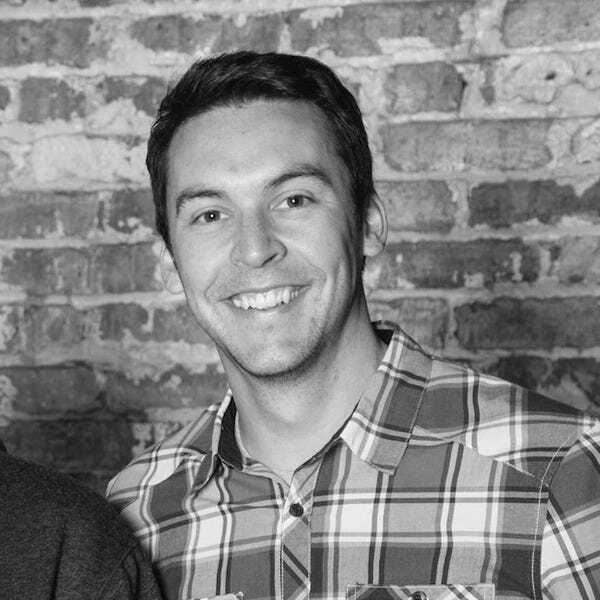 Jack Muldowney is co-founder of The Hop Review and founder of Chicago-based design and illustration studio, Malt. Since 2012, he's been fortunate enough to sit down with some of beer's biggest personalities, as well as travel the U.S. and the globe to capture the industry's best stories. He's also hosted several events, including the annual fresh beer festival "Ultra Fresh". He is a two-time SAVEUR "Best Beer Coverage" finalist and a Cicerone® Certified Beer Server. Through his travels, Jack appreciates the varying perspectives of an industry that's always adapting, and enjoys sharing pints with beer enthusiasts of all types. Dennis Malcolm Byron, a.k.a. Ale Sharpton, is a world-renowned beer authority, award-winning journalist, blogger (AleSharpton.com), photographer, event planner, host, copywriter and creative director for numerous projects. 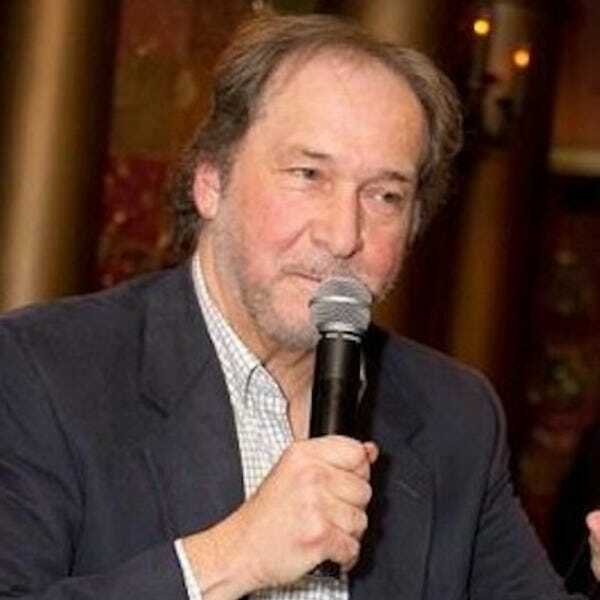 He has contributed to more than 30 magazines and websites, while passionately traveling the globe to cover what he terms the world’s best beverage. 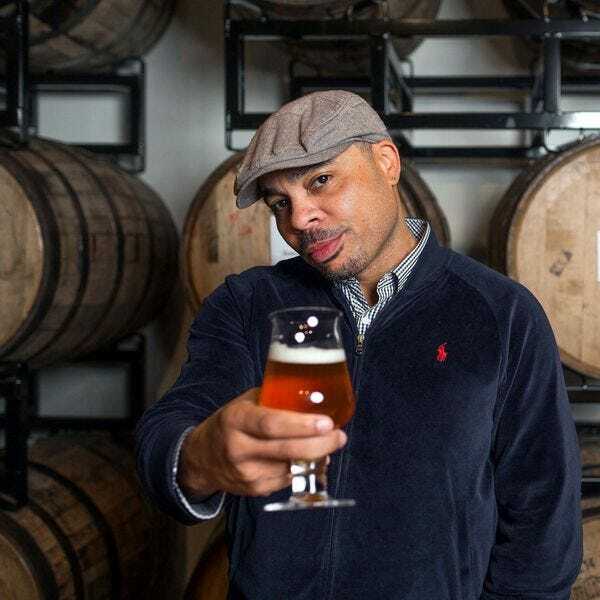 His current media outlets include Thrillist.com, CraftBeer.com, Beer Advocate, USAToday, Lifestyle Publishing, Upscale, Ebony, and others. Although a native New Yorker, he proudly calls Atlanta, Georgia his home. Follow Ale’s globetrotting adventures on Twitter (@alesharpton) and Instagram (@realalesharpton).